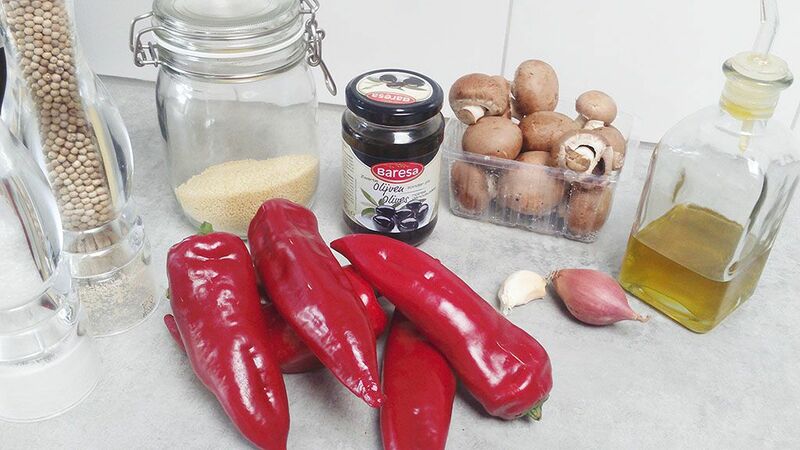 Vegetarian stuffed pointed pepper with couscous, black olives and chestnut mushrooms. Perfect as a starter or side dish, ready in 20 minutes. CUT the pointed pepper lengthwise and remove the seeds. Place them with the cut side down on a parchment lined baking tray and drizzle with olive oil, pepper and salt. Bake them for about 5 to 10 minutes. While the peppers are in the oven, prepare the rest of the filling. HEAT olive oil in a skillet, saute shallot and sliced mushrooms for a few minutes. ADD the chopped garlic and saute for one minute more. ADD in the olive slices and couscous and season with pepper and salt. 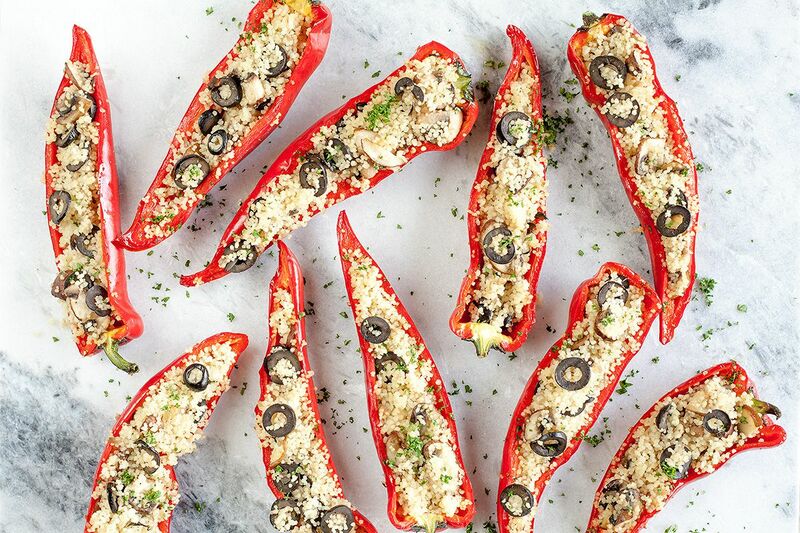 Use a spoon to fill the halved peppers with the couscous mixture. PLACE them in the oven for another 5 minutes to make sure they are hot enough. Garnish with parsley and serve with a nice green salad, enjoy! These look wonderful – and so easy! 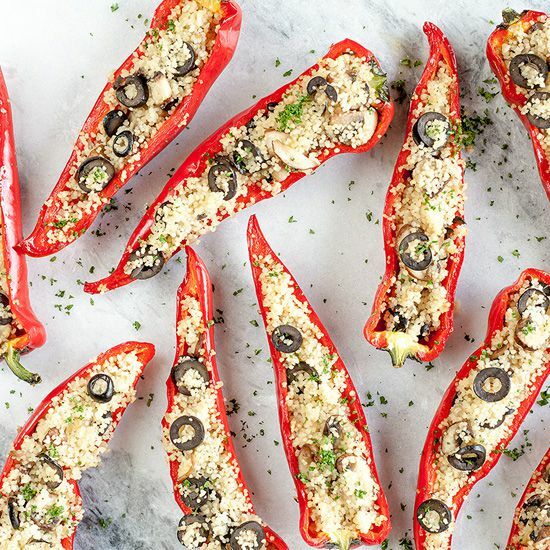 I love stuffed peppers, I will have to try your recipe!! Thanks! Hope you’re gonna enjoy it as much as we did!